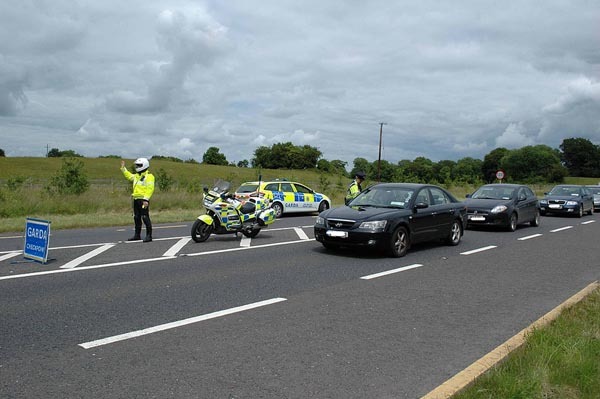 The Road Safety Authority (RSA) is urging people nationwide to get involved in the seventh annual ‘Irish Road Safety Week’, the national drive to save lives and prevent injury on Irish roads. This call comes as deaths on Irish roads have remained high this year, after increasing for the first time since 2005 last year. This year, ‘Irish Road Safety Week’ will run from Monday 6 October to Sunday 12 October, and the RSA is urging people to get involved in this national drive to save lives. The RSA’s Annual Academic Road Safety Lecture kicks off ‘Irish Road Safety Week’ on Monday 6 October in the Dublin Castle. The theme of this year’s lecture is ‘Fatigue, Sleep Disorders and Driving Risk’ and will feature presentations from sleep disorder experts including Professor Walter McNicholas, Director of the Pulmonary and Sleep Disorders Unit at St. Vincent’s University Hospital, and Ms Ellen Townsend, Policy Director at the European Transport Safety Council (ETSC). § The RSA’s primary school programmes Seatbelt Sheriff/Hi Glo Silver will launch during Irish Road Safety week where all primary school teachers nationwide will receive a pack. Seatbelt Sheriff encourages children in 1st class to always wear their seatbelt when out and about in the car while Hi Glo Silver targets 2nd class children reminding them to wear high vis when out cycling or walking day or night. § As part of the Road Safety Authority’s commitment to bringing road safety into all communities, we have set up a Nationwide Road Safety Education Service, which will be rolled out during Irish Road Safety Week. Ourteam of Road Safety Educators are available to travel all around the country visiting pre-schools, schools, colleges, YouthReach and community groups, places of work and sporting organisations. We tackle a range of topics on road safety including road safety at school, pedestrian and cycle safety, urban and rural transport issues, learning to drive and killer behaviours such as driver distraction, speeding and driving under the influence of drugs and alcohol. There are also a series of initiatives being planned by local road safety officers in Local Authorities around the country. For example, in Clonmel on 7th October “Keep Safe” event will be attended by Tipperary RSO Donal Purcell. This event brings 5th and 6th class primary school pupils together with local agencies and organisations with a safety remit to explore safety issues, including road safety. Donegal Road Safety Working Group (DRSWG) are once again holding 3 Road Safe Road Shows over two days – 14th & 15th October in Aura Leisure Centre, Letterkenny, Co. Donegal.